Here’s why travellers are picking Chiang Mai over the done-to-death Bangkok. Save S$10 off your activity bookings in Chiang Mai with the promo code <CONGRADULATION>. More details at the end of the post. 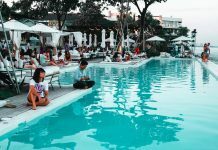 Locals call it an escape from Bangkok’s traffic nightmares. Digital nomads call it cafe-heaven (yes, the sort with plenty of power plugs and speedy WiFi). 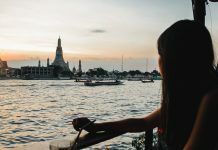 But apart from the conducive cafes and calmer traffic (possibly still chaotic for Singapore standards), this temple-studded city of Thailand surely has charms of its own. From muddy adventures with giant animals to sipping the best coffee (in the world?! 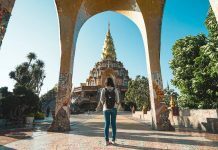 ), we’ve compiled 15 of the best experiences to help with planning that perfect Chiang Mai itinerary, in and around the city — sample itinerary below! 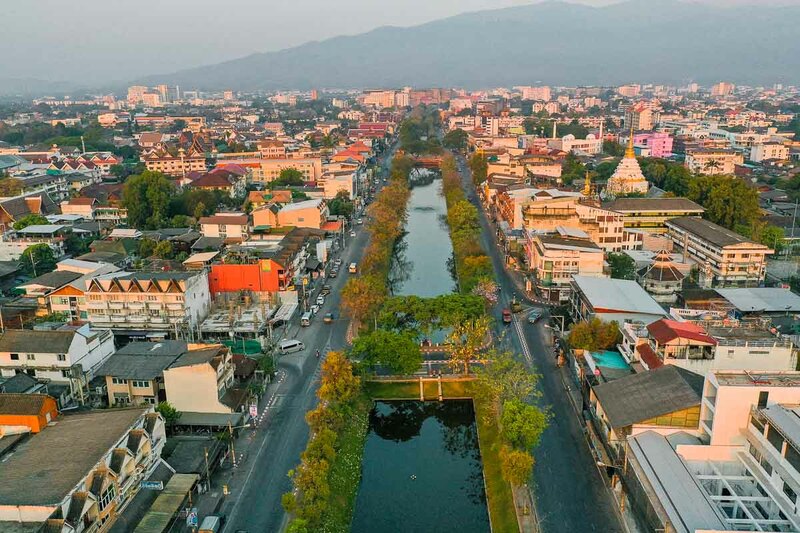 You might already know of the Chiang Mai hot air balloon experience, but here’s a fun and cheaper alternative to catching a bird’s eye view of Chiang Mai — the paraplane! Instead of running off a cliff like with paragliding, you sit comfortably in an adorable metal cart tied to a parachute. 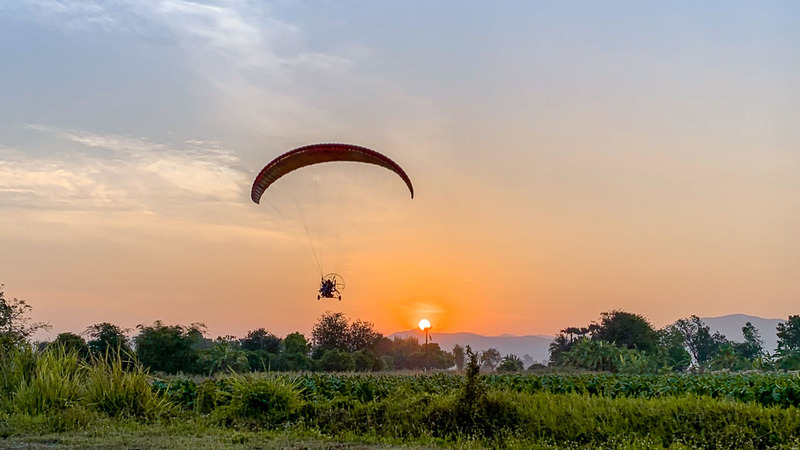 After a short run on a flat field, the paraplane takes off gently over paddy fields and sparse village huts as the sun rises gracefully above the horizon. 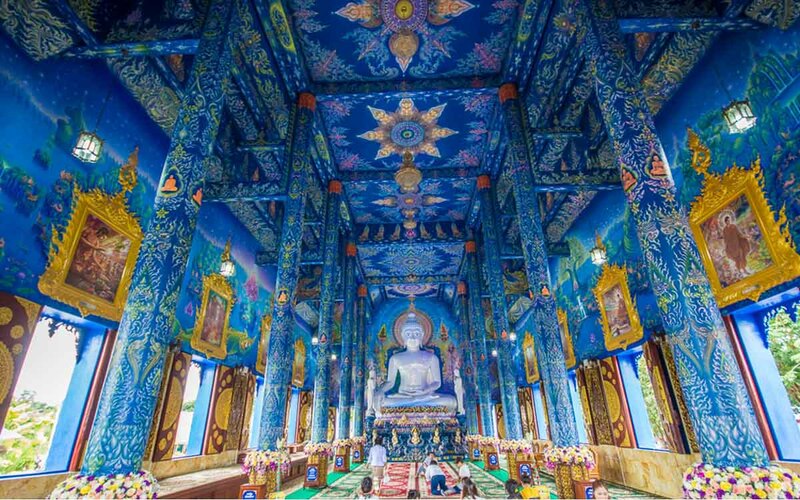 There are about 300 buddhist temples in Chiang Mai and 10% of them can be found within the confines of the Old City. 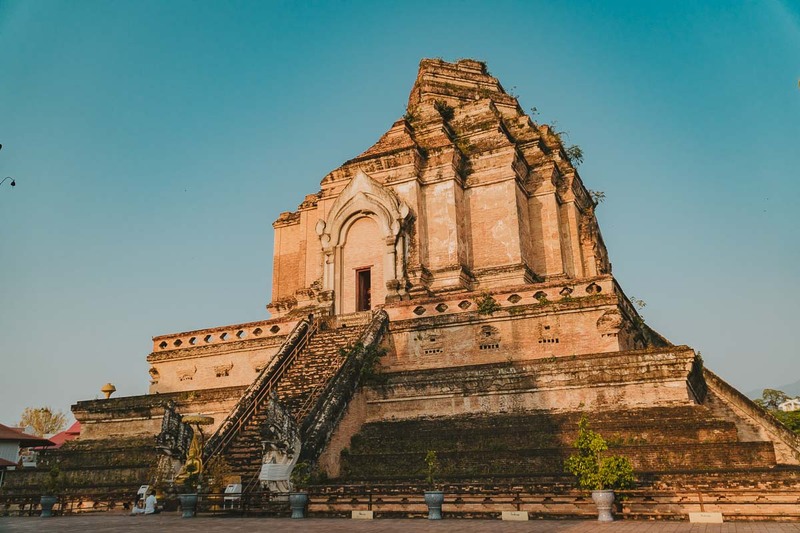 Explore the major ones on this self-guided 2.5 hour tour but if you’re short on time, take a walk to the centre of the Old City to catch a glimpse of the Wat Chedi Luang — a 60 by 60m brick structure resembling some of the ancient pagodas found in Bagan, Myanmar. Before suffering damages from an earthquake in the mid 1500s, this structure measured 80m tall. Despite the damage though, it’s still the tallest in the Old City and no other building is allowed to be taller than this. The main hall is decorated with intricate gold details and extravagant chandeliers. 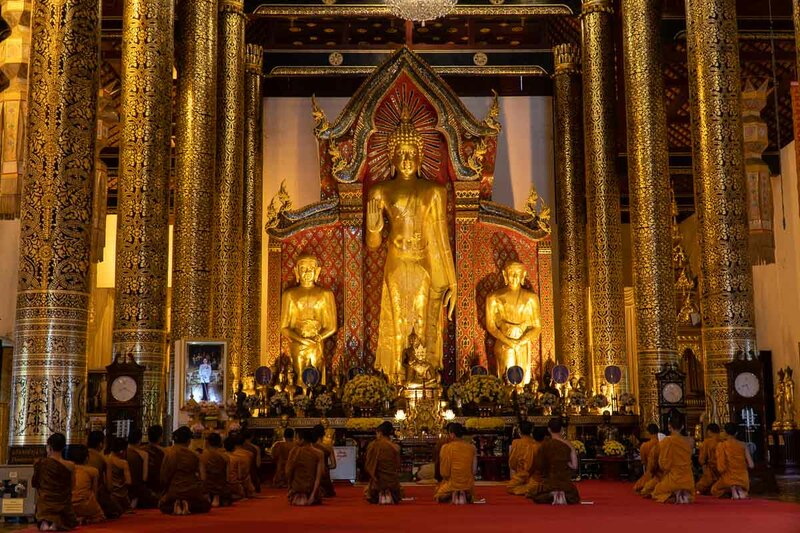 Arrive around 8AM and you might catch the monks chanting their daily prayers at the front of the hall. Just a few years back, riding elephants, watching them perform tricks (like drawing with their trunks or playing soccer) was all the hype in Chiang Mai. Today, you’ll find little trace of these tours offered to tourists. Instead, elephant tourism has turned to elephant sanctuaries and retirement parks where the elephants are “rescued” from these camps or circuses to allow them a more carefree and ethical life. 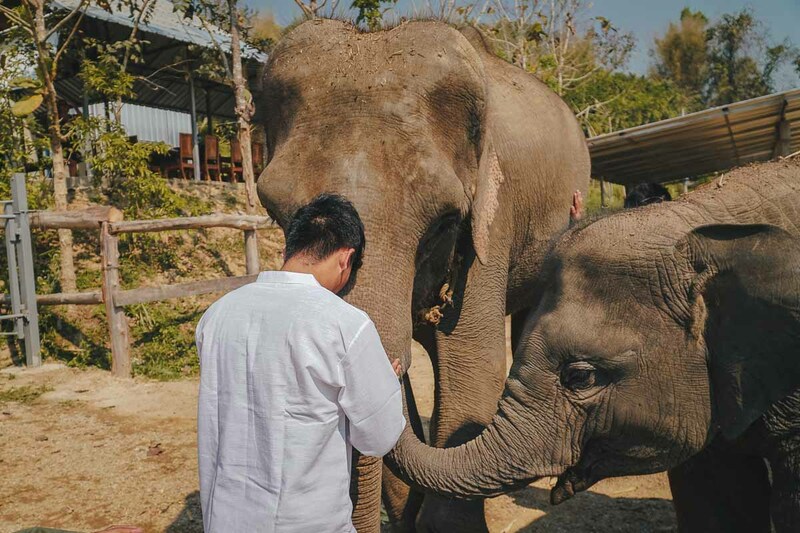 We visited the Elephant Retirement Park located in the Mae Taeng District — it’s home to seven rescued elephants, three of which are babies, and some were even born in the park. You start off with a quick insight into their daily lives: how they eat about 10% of their weight (which is on average 250 – 350kg of food), poop every 20 minutes and sleep only three to four hours a day. The rest is spent eating and pooping. After which, guests are encouraged to get up close with the elephants using bunches of bananas and maize as treats. The elephants are quite greedy so you’re warned not to play hard to get with the food. But the highlight here happens at the mud pit. 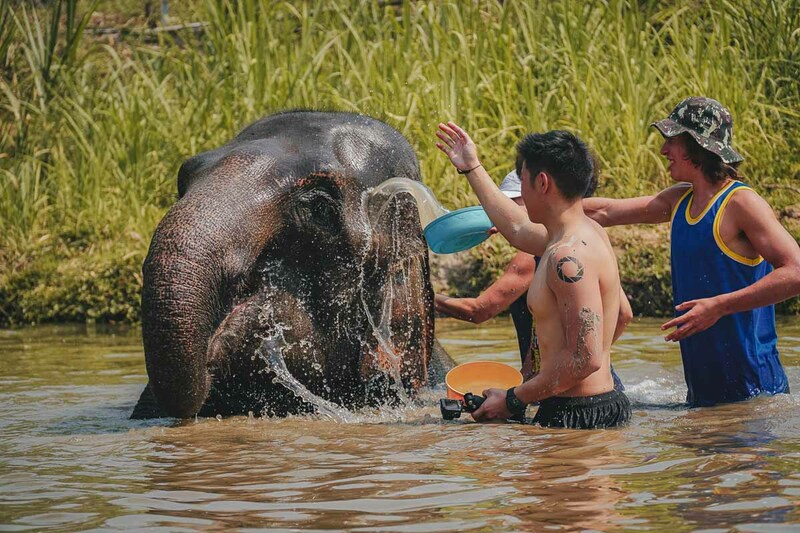 Guests are asked to help slather the mud onto the surface of the elephants which helps to moisturise their skin before they’re brought to a pond where guests help to water them down. While most of the elephants in these retirement parks and sanctuaries have a better life compared to the punishment they’d often receive in training camps, elephants are ultimately the happiest when allowed to roam in the wild so hopefully in time to come, elephants will no longer be subjected to living within confined spaces. But for now, here’s your chance to get acquainted with a big friendly giant. 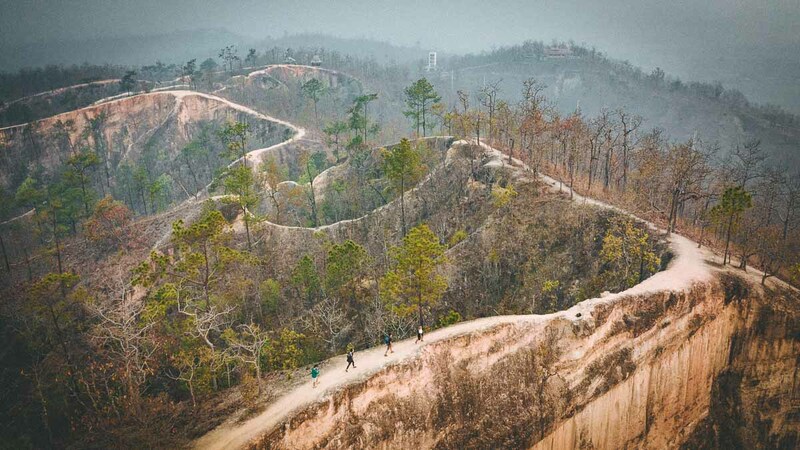 Outside the Old City, Chiang Mai is blessed with lots of jungle treks and lush forestry. One of the best ways to experience that is on an ATV. The track can be quite dusty in the drier months so it’s usually more fun to visit during the wet season. 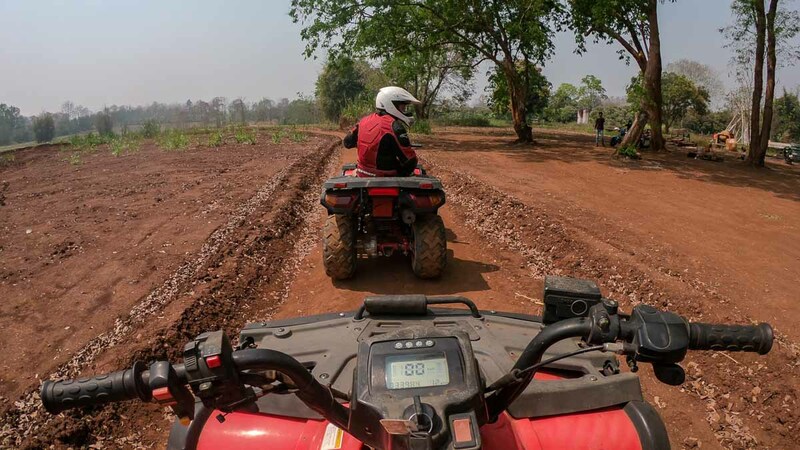 If you’re short on time, the Elephant Retirement Park program has an add on option for ATV, rafting or both for a slight top-up! That way, you can get picked up from the elephant park once you’re done with the half-day visit. *Pro-tip: Covered shoes are highly recommended for the ATV ride. 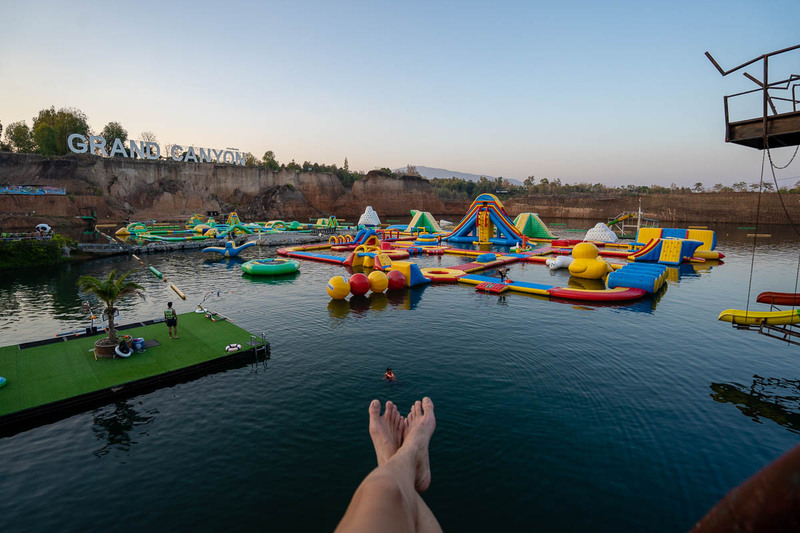 What used to be a natural quarry surrounded by raw, muddy cliffs has — in the recent years — transformed into the Grand Canyon water park; complete with giant slides, zip-lines and even a 10m platform to leap off. 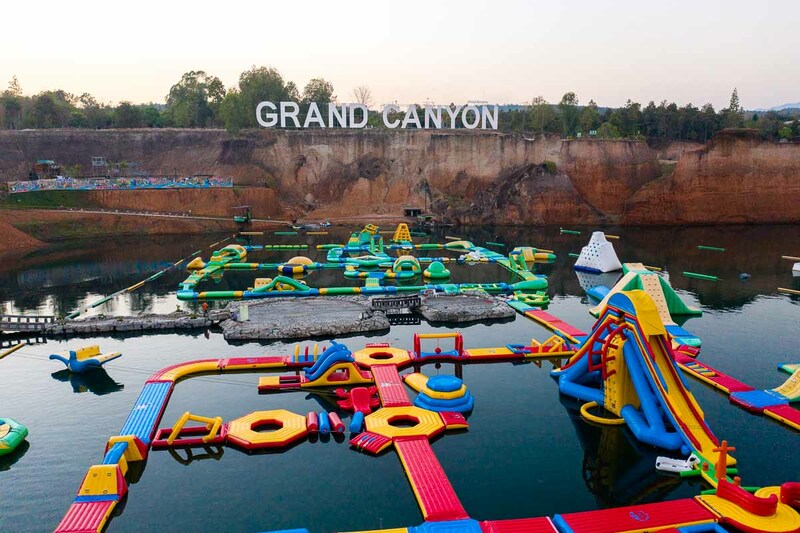 You could easily spend an entire day here testing your ninja warrior skills at the various courses. Lockers and life vests are available for rent and there are plenty of toilet stalls to shower off. But note that food and drinks will be removed from your bags before you enter the park. Note: There are no songtaews on the way back but you can book a GrabCar which costs around the same price but for 4 pax. Renting a scooter is one of the most convenient ways to explore Chiang Mai and only costs ฿200–250 for an entire day. One of the more famous waterfalls in the area is the Buatong Waterfalls, located about 90 minutes north of the Old City. It isn’t exactly the most photogenic waterfall but the texture of the rocks have earn it the nickname — Sticky Waterfall. The coating from the minerals in the water create a rough surface which helps you climb the rocks with ease. *Pro-tip: Avoid climbing on the dark patches. While most of the surface has a nice grip, the dark patches have succumbed to moss growth which can be really slippery! 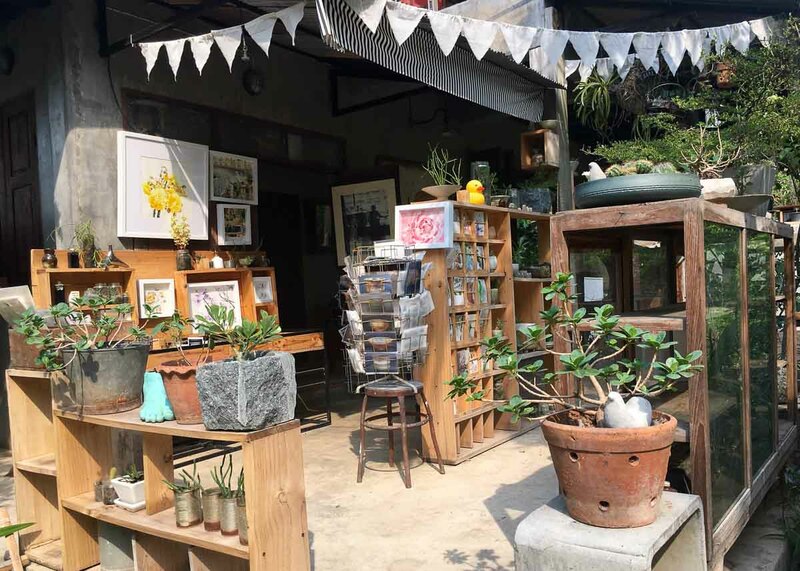 There are many cosy co-working cafes around Chiang Mai Old City (like the 24-hour Wake Up Cafe) but if you want to get away from the crowds and instead be surrounded by greenery, head out west of the Old City to the Baan Kang Wat artists’ village. There’s a nice cafe with independent artist stores selling pretty handicrafts, hand drawn post cards and art pieces. Chiang Mai makes a great base to explore these surrounding cities, all under a three hour drive away. Reserve a day or two for each and escape the city to check out these areas. 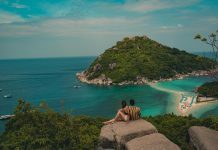 Most of these can be covered on day trips except for Pai, which you might want to spend at least a night at. At a peak of 2,565m, Doi Inthanon is the highest mountain in Thailand. But its height isn’t the only attraction here. 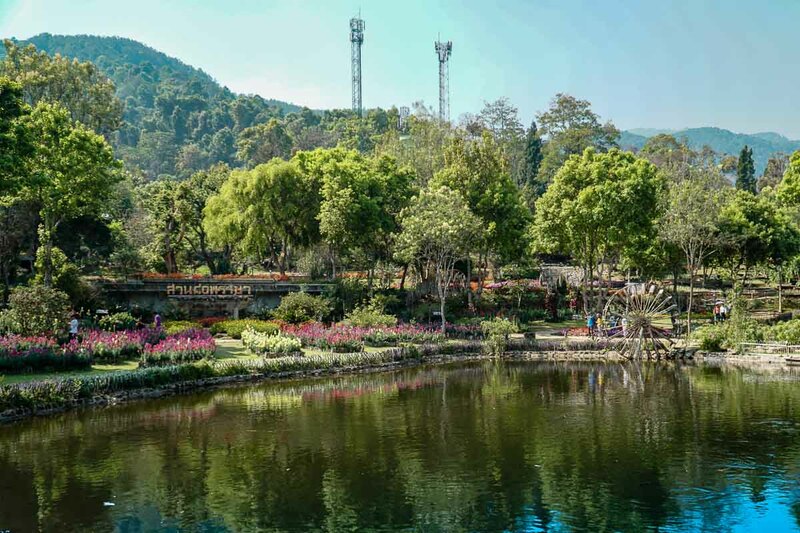 Despite being a two-hour drive from Chiang Mai, the place attracts both foreigners and local tourists. 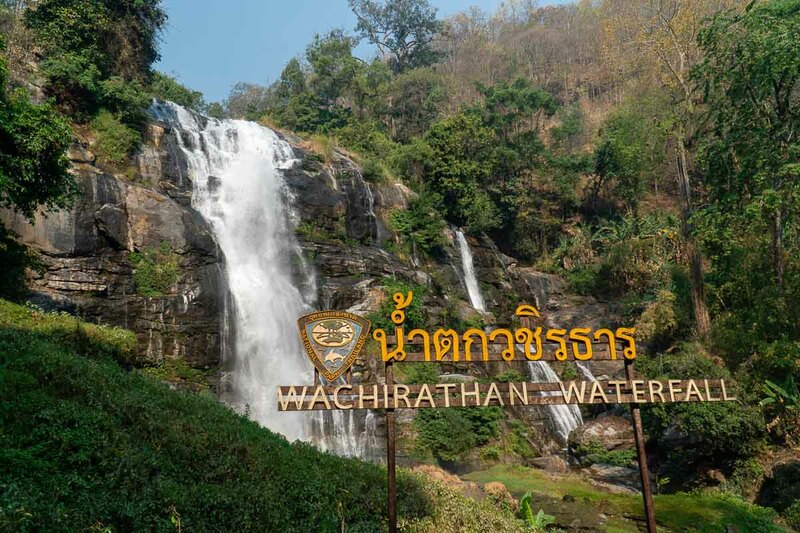 There’s also the 80m tall Watchirathan Falls, and of course the famous twin chedis — also known as Naphamethinidon and Naphaphonphumisiri surrounded by colourful flower gardens and an undisrupted view of the valleys. And an impressive flower garden at the Royal Agricultural Station Inthanon. 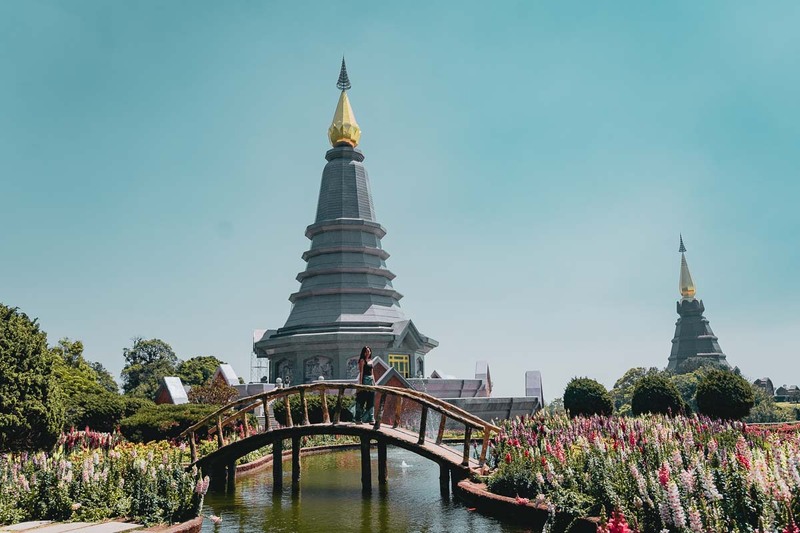 The back story is that the area used to be filled with Opium crops until King Bhumibol Adulyadej stepped in and got the tribesmen to instead grow useful crops and beautiful flowers. The three-hour drive from Chiang Mai is quite the journey. The only road that leads there is famous for having 762 bends, so if you’re prone to motion sickness, you’ll definitely want to down a few pills before the car ride. 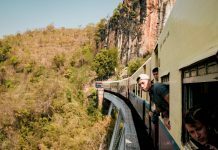 Past the challenging journey, this hippie town offers a nice change in environment with many natural attractions to explore. 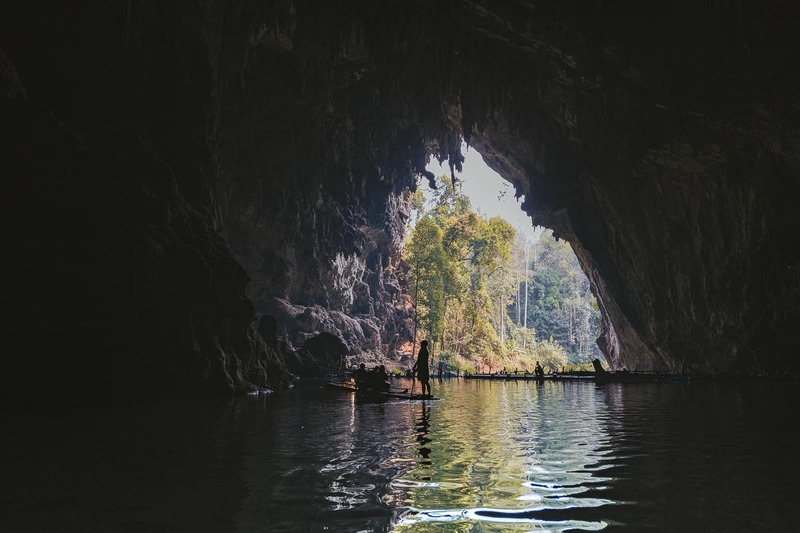 1) Tham Lod Caves: A 40-minute drive from Pai, this is one of the most impressive cave systems in the area. The cave is pitch dark without artificial lighting so hiring a local guide here is compulsory. Each guide can take on three pax and will carry along a powerful gas lantern to light the way. The tour ends with a short ride on a bamboo raft that reveals the opening of the cave on the other end. 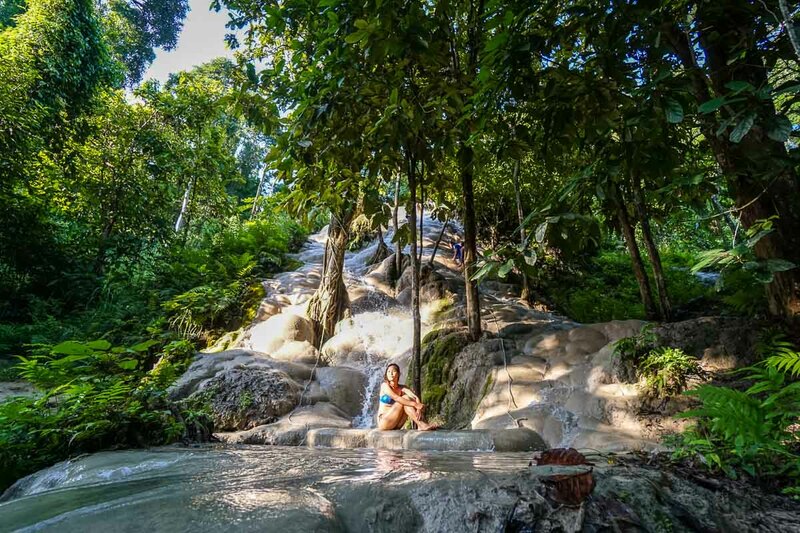 2) Sai Ngam Hot Spring: A 25-minute drive from Pai, this is the less crowded option the two hot springs in the area. It’s a little out of the way but en route to Tham Lod Caves so you can cover these two on the same day. The water temperature is at a comfortable 34°C and the water is crystal clear! There were only a few local kids playing in the area when we got there. 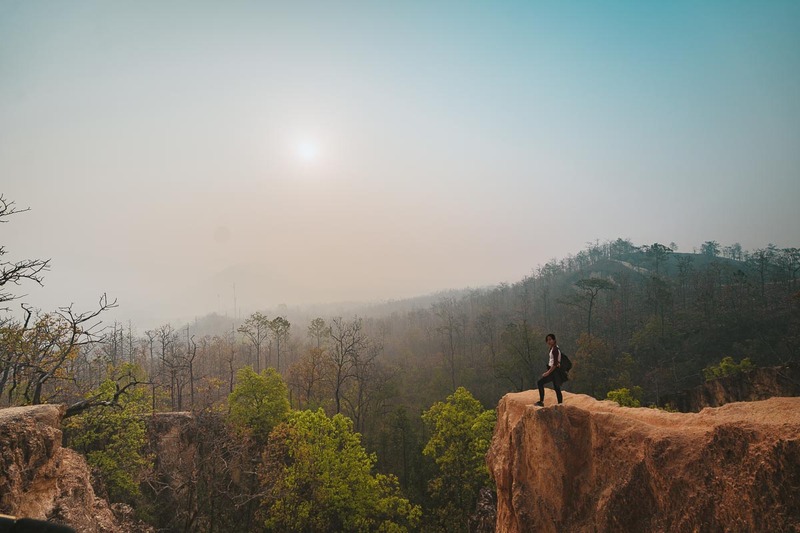 3) Pai Canyon: Just 10 minutes from Pai, this is a popular sunset spot but equally great for sunrise too. 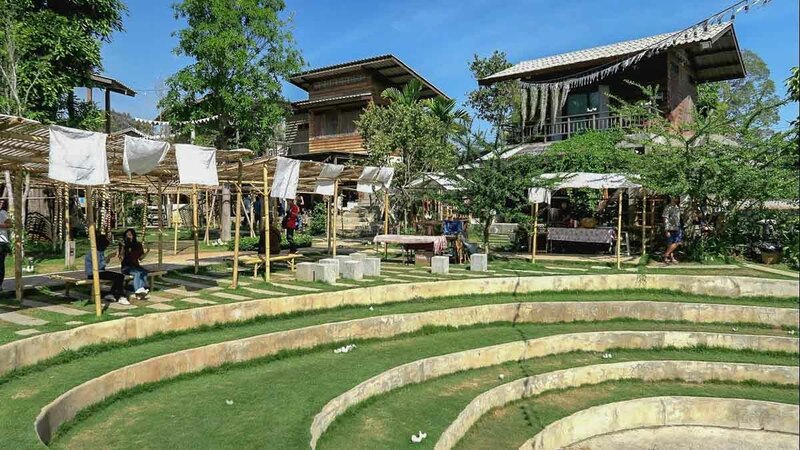 Travellers in Pai love partying so you’re likely to have the whole place to yourself in the early mornings. The hike involves walking through narrow paths with steep 30-metre drops and no railings so be careful if you’re here at dawn. 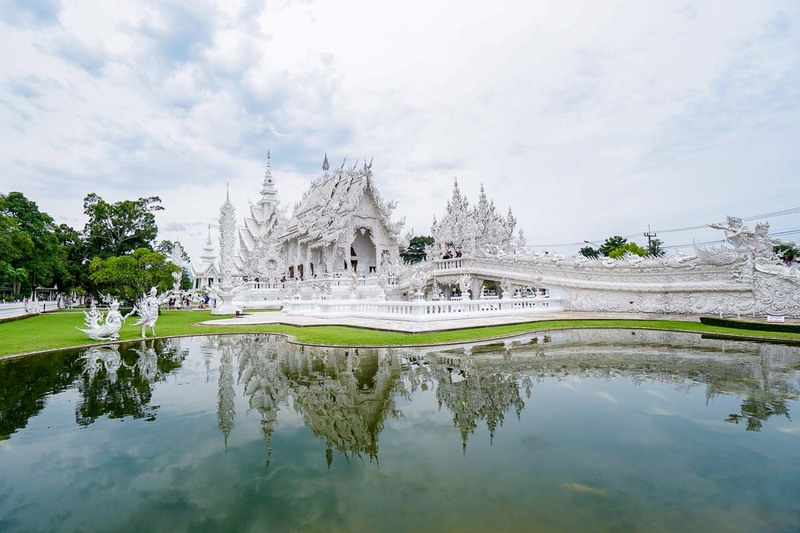 Chiang Rai is home to three interesting temples: Wat Rong Khun, Wat Rong Suea Ten and Baan Dam also known as the White Temple, Blue Temple, and the Black House respectively. Each has its own unique design that attract visitors from all around Thailand. 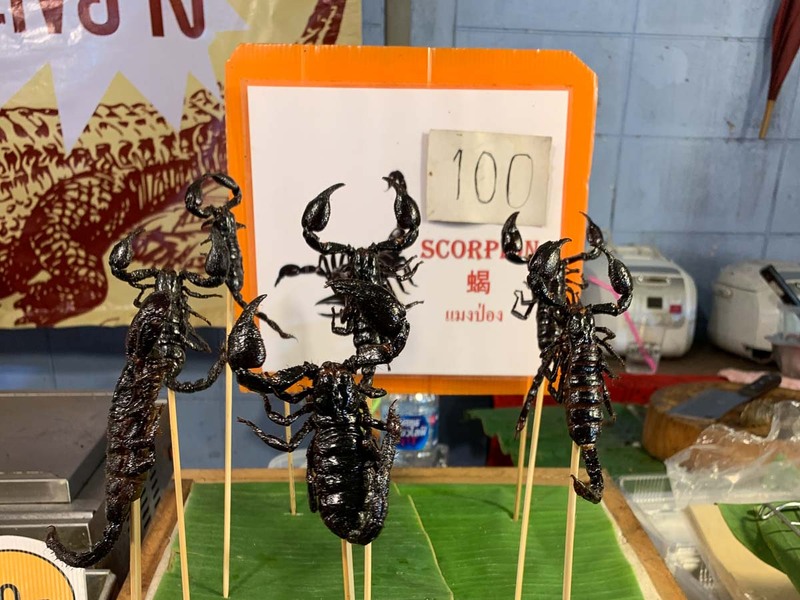 From Chiang Mai, you can cover these on a 12-hour day trip including pick-up from your accommodation around the Old City. 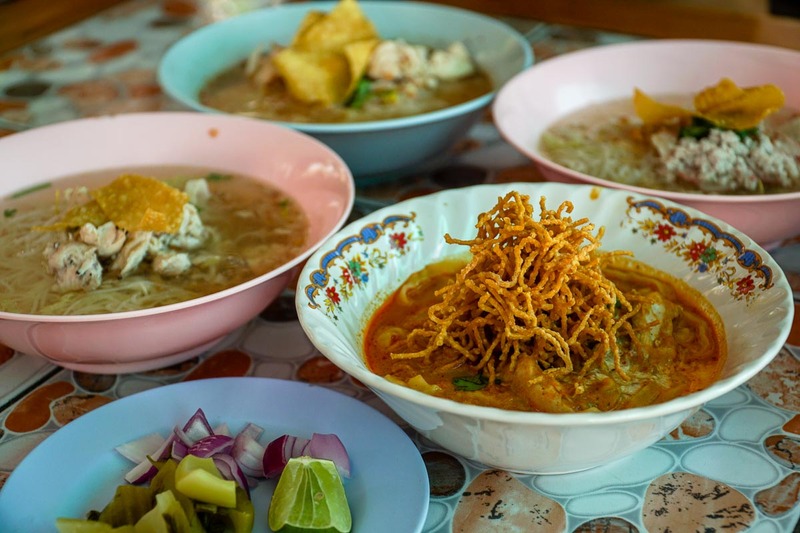 Khao Soi is a noodle dish unique to northern Thailand and one of the highly recommended stalls within the old city is Khao Soi Khun Yai. At 10AM, we arrived to this humble open-air stall to find almost all the seats filled up. The dish of yellow egg noodles comes in a rich coconut curry with a kick of spice. Pair it with a refreshing cup of Logan juice to ease off the burn. Opening Hours: 10AM – 2PM. Closed on Sundays. Also on the side of the north gate (not far from Khao Soi Khun Yai) is a popular stall for Pork Leg Rice. The dish comes with buttery soft pieces of meat and a side of the perfect half-boiled egg (with the yolk still creamy). Not to forget the chilli which really adds to the dish. You can find the stall wedged in the middle of other street stalls that have permanently set up their stalls right outside the north gate. 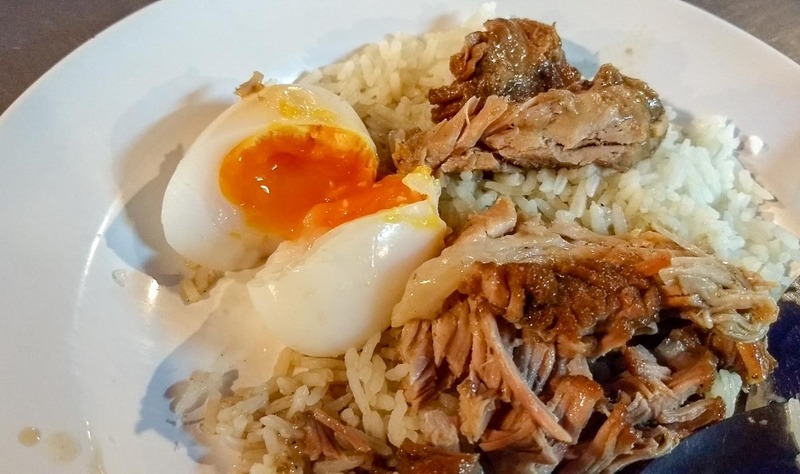 Singaporeans missing the homely taste of Hainanese Chicken Rice will appreciate this one. 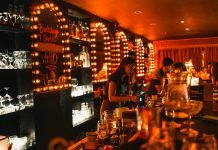 The crowds here aren’t just made up of locals from Chiang Mai, it’s also a hit with visitors from Bangkok. Famous items on the menu include the chicken rice (of course) and the pork satay, which every table seemed to order. The rice is perfectly flavoured but don’t forget to pair your dish with the fresh chilli, ginger and the special soy bean sauces which give the dish a lot more dimension. 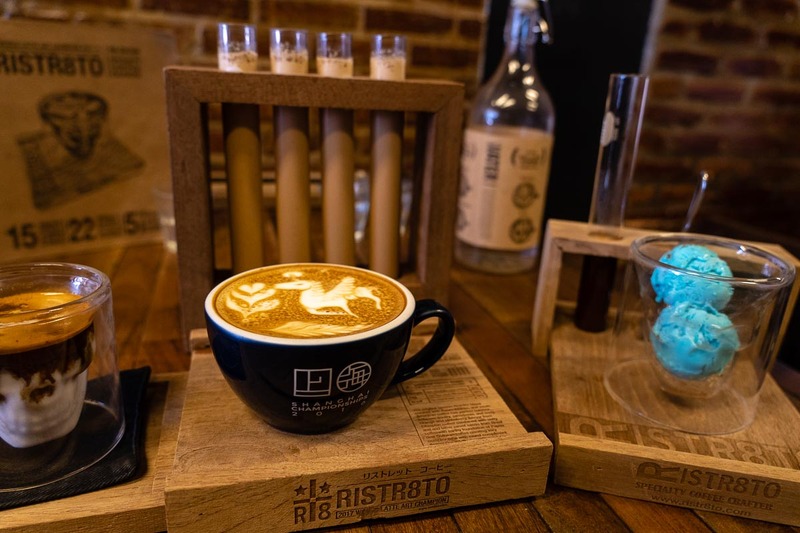 Slightly outside the Old City, Ristr8to is known to have one of the best coffees in town — some locals claim it’s in fact the “best in the world” and Ristr8to isn’t shy about the awards they’ve won. Try the signature coffees (Satan Latte comes with award-winning latte art) or coffee-based desserts like DAMN (a blueberry cheesecake coffee dessert). 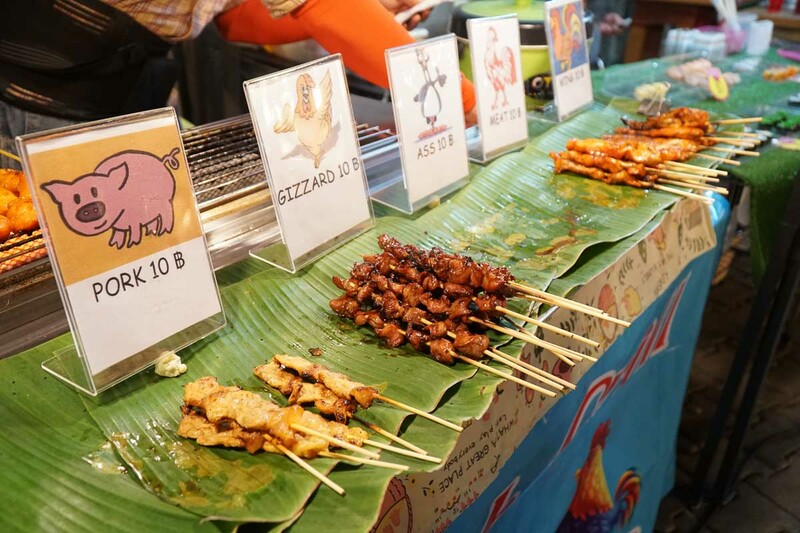 The weekend markets here may not match up to Chatuchak in terms of size but if you’re looking for yummy street food, hand-made crafts and live music from street buskers, head down to the weekend markets. Day 1 — Explore the Old City. Take a walk to Wat Chedi Luang at 8AM to observe the monks in the prayer hall. 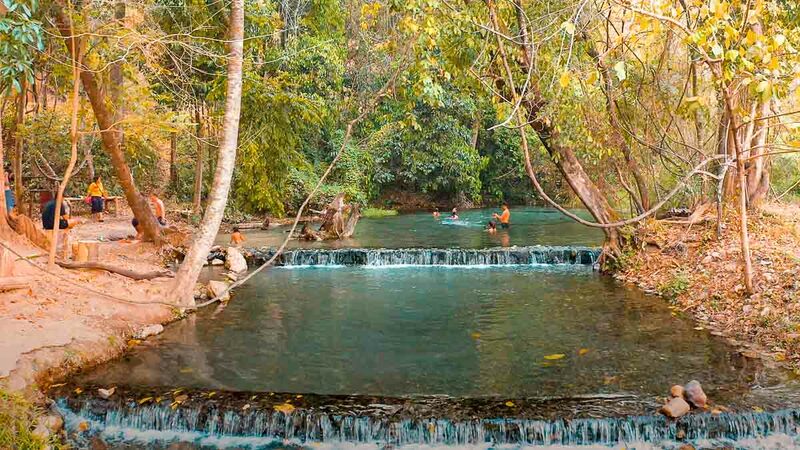 Have lunch at Kiat O Cha Khao Mun Kai for a Hainanese Chicken Rice fix, then pack up your swimsuits and book a songtaew to the Grand Canyon Water Park for a splashing day of fun. If it’s a weekend, return back to the Old City and grab dinner at the Saturday/Sunday markets. 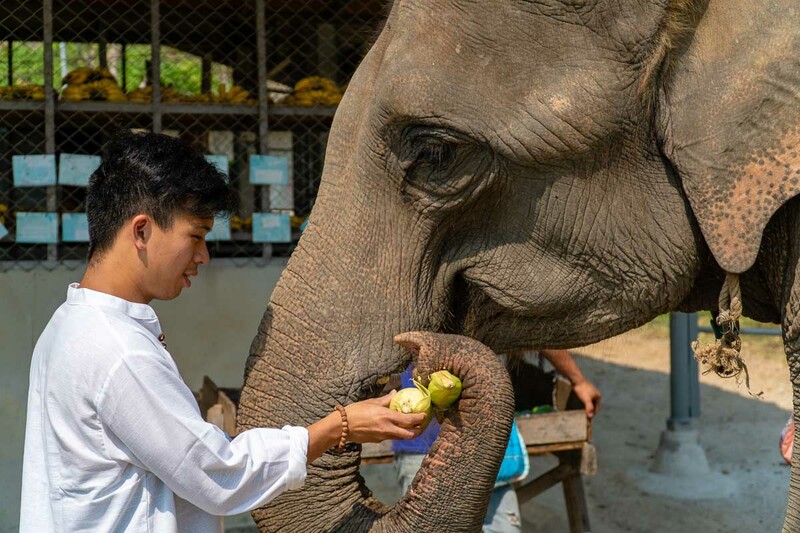 Day 2 — Book a half day tour to the Elephant Retirement Park. If you’re feeling adventurous, add on an ATV ride, white water rafting or both! Back in the Old City, grab dinner from Chang Phreak Pork Leg Rice. 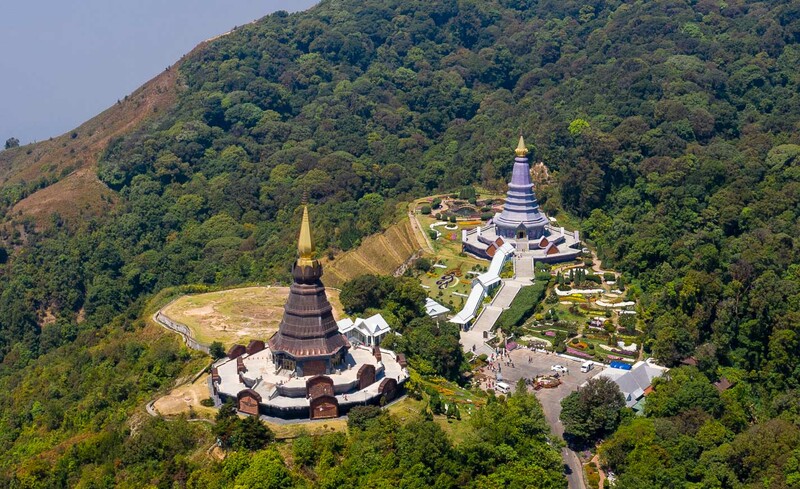 Day 3 — Take a day tour out to Doi Inthanon National Park. The tour ends at 5PM book a massage at Let’s Relax Spa (I personally love the One Nimman Branch) before having dinner at Mu’s Katsu for delicious Japanese food. Day 4 — Wake up at dawn and wait for your pick up to the Paraplane launch point! The tour is done by 9AM so you still have the rest of the day to explore. 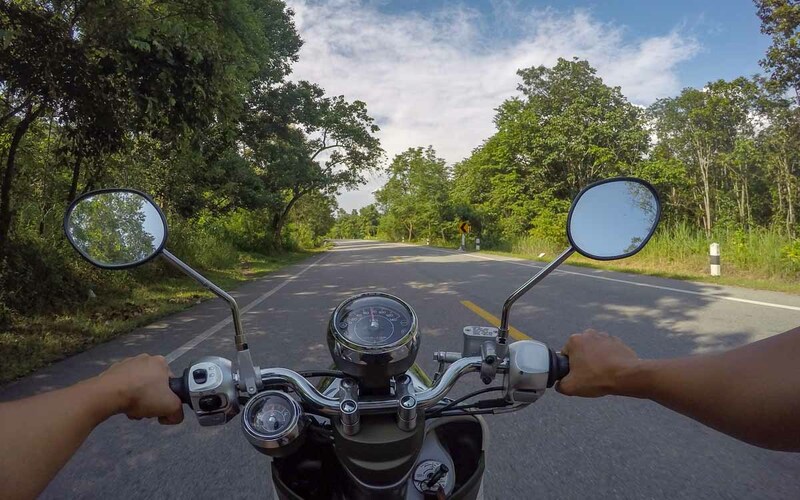 Rent a motorbike and head out to the Artists’ Village: Baan Kang Wat and the Buatong Waterfalls. Day 5 — Hire a private car charter and head to Pai! First stop, head to Jabo Coffee for brunch. The open-air cafe serves delicious noodles and offers a great view. Then arrive at Tham Lod Caves — it should take around two hours to explore. End off the day at Sai Ngam Hot Springs on the way back to Pai for a relaxing soak. Back in Pai, grab dinner and drinks from the Pai Walking Street. Day 6 — The next morning before driving back to Chiang Mai, stop by Pai Canyon, best visited between 7 and 8AM. Enjoy the three hour drive back to Chiang Mai! If you have time before your flight, have your afternoon coffee fix at Ristr8to before leaving. 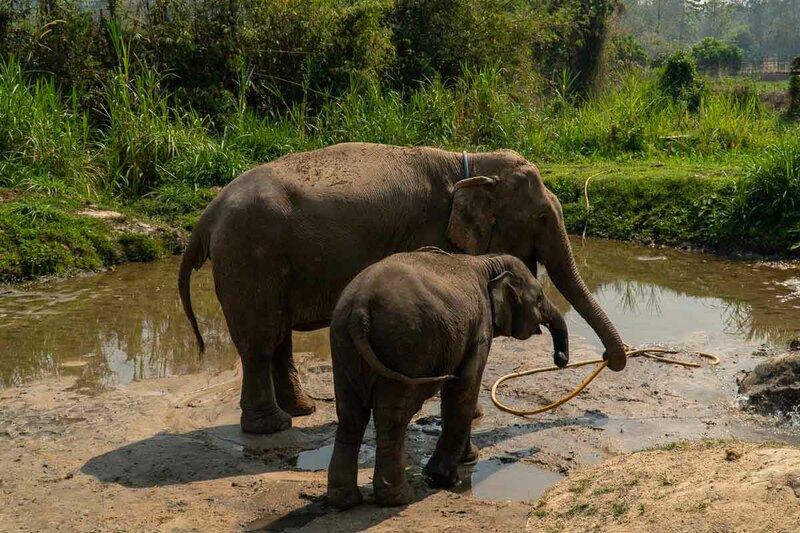 Visiting the elephant sanctuary or need a reputable car charter to explore further up north? Save S$10 when you book on Klook with the promo code <CONGRADULATION> before 31st May 2019. Minimum spend of S$100 applies. Was this helpful? Let us know in the comments below! Great blog post. It was great reading amazing experiences.